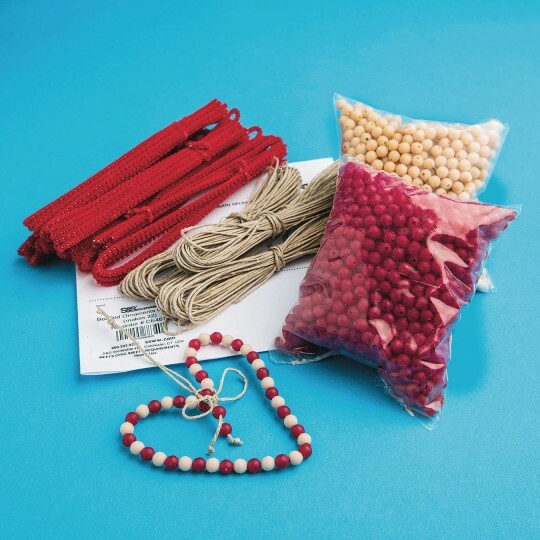 Kit includes all supplies to make 48 beads, chenille stems, hemp and instructions. 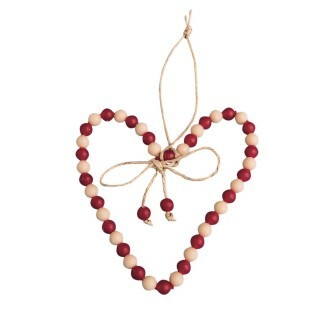 Create a sweet folk heart ornament! Simply thread the beads on the chenille stem and finish with a hemp-tied bow. Kit includes all supplies to make 48 beads, chenille stems, hemp and instructions. Valentine Ornament that is Sweet! -Nice project for larger groups of kids.-Like the bead colors not traditional beads so older kids are interested in joining in craft activity.-created a hanging loop with the excess pipe cleaner/chenille stem rather than cut off for large group activity. - You can use half the bead amounts and still create a cute small heart for your youngest crafters should their attention span be limited!